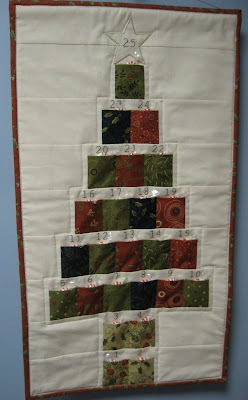 Hooked on Needles: More Stitched Christmas Cards - Quick and Easy! It's two days before Christmas. Are you ready? Do you still have one or two more little things to finish up and just not enough time to get it done? Here is an idea for a quick and easy, but still mostly handmade, card that could be framed later and made into a pretty little Christmas decoration. This is a card that my daughter made for my parents. She got these darling little snowman and lamp post stickers at Michael's, some white and blue card stock, some metallic silver sewing thread and some white embroidery floss. She cut the blue card stock the size she wanted the whole piece to be, then she cut the white for the rolling snowy hill and attached it to the blue. She placed the snowman and lamp post stickers on the card stock before beginning the embroidery. She embroidered the snowflakes using white floss and the lazy daisy stitch. Then she stitched little hills of snow using back stitch and the silver thread. She also stitched along the top of the white card stock. After all the embroidery was finished, which didn't take very long at all, she attached the whole thing to the front of a pre-folded card that came in a bulk package along with matching envelopes from Michael's. She hand wrote a personal note on the inside to her grandparents and mailed it in a padded envelope to protect the 3-dimensional stickers. I think they will like it! Here's another one she did, this time for my cousin who so generously hosted us while we were in Alabama for my Auntie's 90th birthday this past February. She used the same method as with the snowman card, but the only embroidery on this one is the silver in the snow and the big Bethlehem star shining at the top of the card. The tree and the other stars came on one sticker sheet from Michael's. I thought those turned out just so darling. 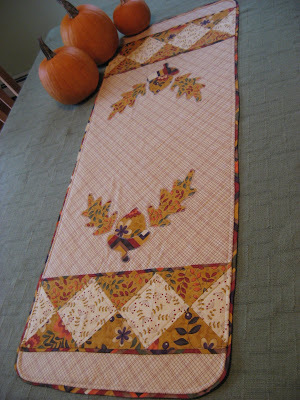 They were very quick to make and easy, only using a couple very basic embroidery stitches and other supplies that are easy to get or that you may already have in the house. A card like this would certainly light up the face of someone special, maybe that person who has everything. There's still time to whip some up too. After all, there are still 2 days left until Christmas! Those cards are adorable. She is so talented.